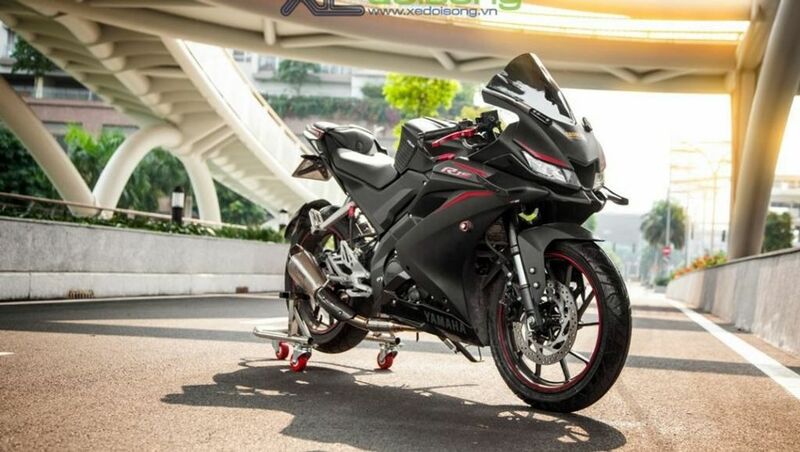 Thailand based Saigon Max Speed has worked very hard to give the Yamaha YZF-R15 V3.0 some upgrades of their own. 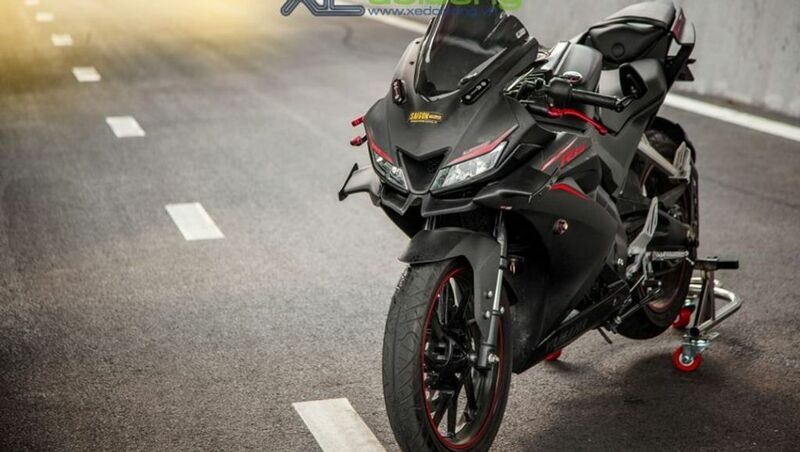 They have added some new accessories to the stock motorcycle and tweaked the fairing and bodywork to give the sportsbike more aerodynamic, aggressive and sporty styling. The folks at Saigon Maxspeed workshop has managed to transform the stock R15 V3 into something worth giving a second look. 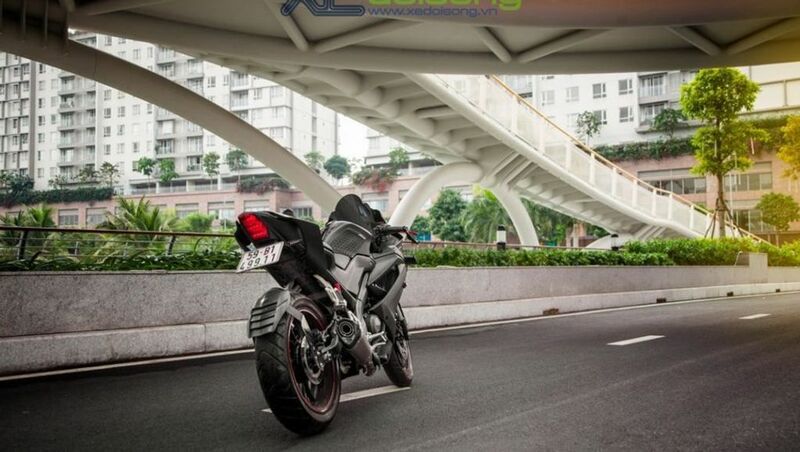 This customized Yamaha R15 features a MotoGP styled bubble visor, which can help the rider to tuck behind it while riding at high speeds to improve the aerodynamics of the motorcycle. There is no significant change made to the front fascia though and it still retains the sharp looking LED headlamps. However, the front fairing now features a custom made MotoGP style winglets. The rear view mirrors of the motorcycle have also been replaced with bar-end mirrors (only one available on the left side). 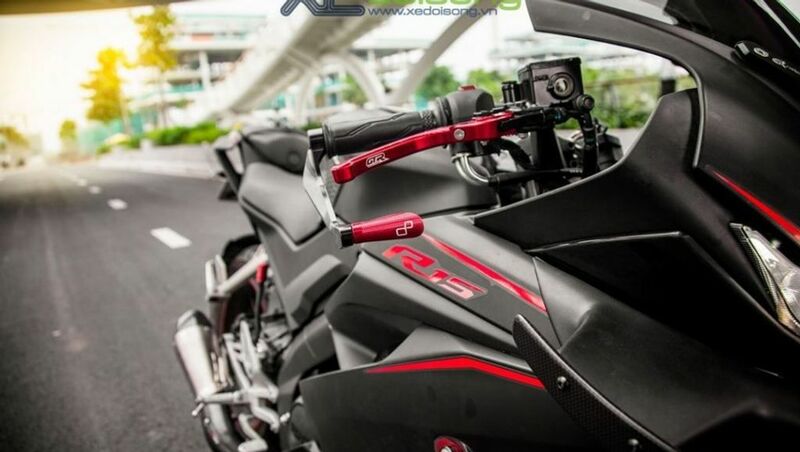 There are no major changes made to the rest of the motorcycle bodywork, but the modifiers have added few aftermarket accessories which come in the form of a new adjustable brake and clutch lever, and aftermarket grips on the fuel tank which will help the rider to position and lock their knee in one place while leaning into a corner. This fully prepped R15 has also been fitted with an Akrapovic exhaust system which has also helped improve the overall performance numbers of the motorcycle (sadly though the exact numbers are not available at this moment). Lastly, the motorcycle also gets a tail tidy kit which not only has helped shed some extra weight but also added a sporty and neat look to the rear profile. 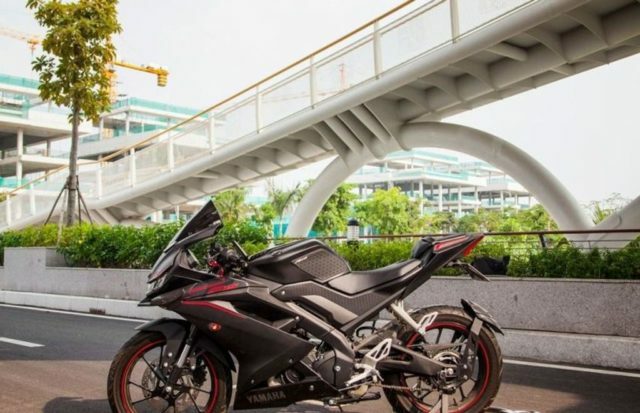 The Yamaha R15 V3.0 gets upside-down telescopic forks at the front and monoshock as standard in Vietnam while the Indian spec motorcycle gets conventional telescopic front suspension setup. There are no other mechanical changes made to the motorcycles powertrain and thus it uses the same 155 cc, liquid-cooled, single-cylinder engine. The engine features variable valve actuation technology (VVA) which promises to offer a punchy mid- and top-end power delivery. 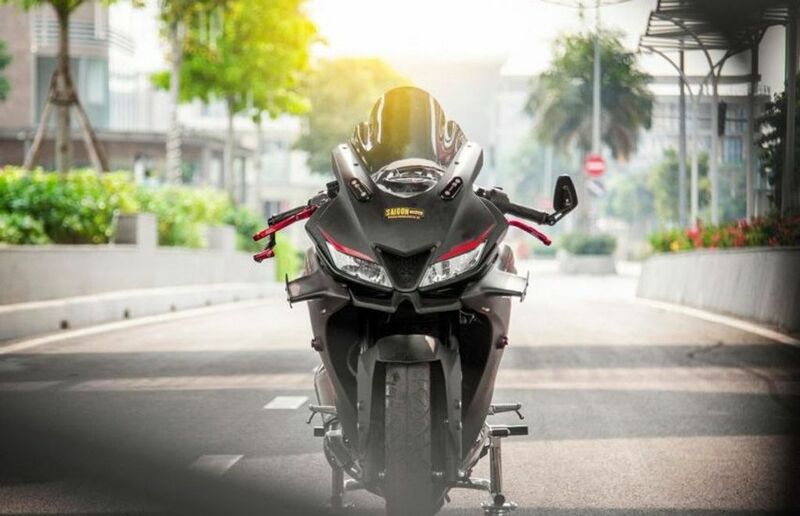 The stock engine produces about 19.3 PS of maximum power at 10,000 rpm and 14.7 Nm of peak torque at 8,500 rpm which is quite impressive numbers for a 150 cc motorcycle.